Sorghum, a cereal used to feed livestock and make alcohol, has been damaged over the last 6000 years by humans. The damage to genes and reduced varieties available of sorghum are not a consequence of domestication but because of specific agricultural practices. The damage to genes in the crop has increased over time, partly due to periods of adaptation. Diversity has steadily declined from initially high levels at the onset of domestication. Researchers at the University of Warwick in the United Kingdom have found different groups of sorghums have ‘rescued’ each other from damage, giving an insight into how such crops could be rescued in the future. THE diversity of the crop sorghum, a cereal used to make alcoholic drinks, has been decreasing over time due to agricultural practice. To maintain the diversity of the crop and keep it growing farmers will need to revise how they manage it. The wild ancestors of sorghum represent genomes that have not been damaged through cultivation. Although we don’t harvest the wild ancestors of sorghum it’s necessary to keep them alive as the ability to adapt to their surroundings by introgression could be crucial in the future of Sorghum bicolor to threats of climate change, meaning crops have to adapt to new environments. 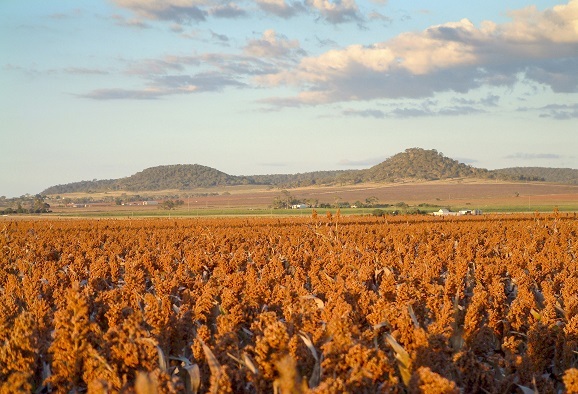 Professor Robin Allaby, from the School of Life Sciences at the University of Warwick said: “Sorghum bicolor is the world’s fifth most important cereal crop and the most important crop in arid zones. It’s used for animal feed and beer and is grown particularly in North-Eastern Africa generating an economy there.